Ford recently gave five F-Series Super Duty professional users a first-hand look at the torture testing engineers put the pickup through during the development process. Ford used a similar process for its 2015 model-year relanch of the F-150. Starting in 2011, Ford provided six prototypes of its aluminum F-150 to a Nevada gold mine, Pennsylvania dam, and utility service provider in Appalachia to test the durability of its pickup truck and cargo box. For testing of its new 2017 Super Duty, each participant represented an industry where workers trust F-Series Super Duty more than any other truck to get the job done, including forestry; manufacturing; highway maintenance; electric, gas and sanitation; and oil and gas extraction. 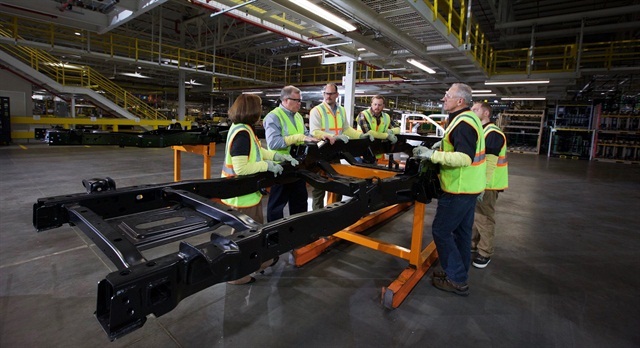 Participants also learned about how weight savings from high-strength steel and high-strength, military-grade, aluminum alloy are reinvested to create a Super Duty that can tow and haul more with new driver-assist technology developed specially for heavy-duty truck customers, according to Ford.